What the heck is a “schmorma” you ask? It’s a name entirely made up by me. I mean us. “Schmorma” is when you mean “korma,” are thinking “schwarma,” and it all gets jumbled together. I swear, when we were making this neither I, my willing associate, or even El Gallo could get the name of this dish right even though we’ve eaten plenty of it at Indian restaurants, and somehow we all landed on calling it “schmorma,” in isolated incidences no less. So schmorma it is. In case you haven’t noticed, this is a bit of a fusiony kind of recipe blog anyway, so we are just gonna roll with it. 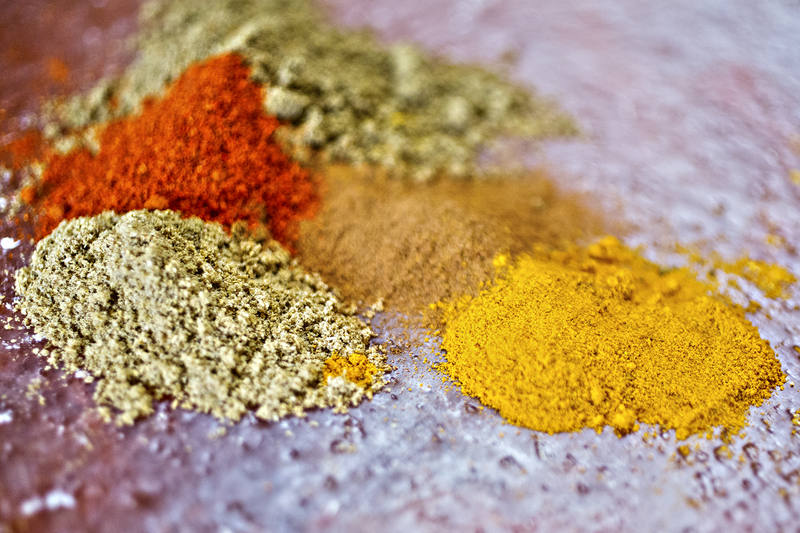 Instead of using the blend of spices we call “curry,” I like to mix the different elements together yourself so I can get exactly the flavor you want. This schmorma will look strikingly familiar to a korma, a Pakistani and/or Indian dish that involves meat braised in something creamy (here, coconut milk) and a lot of comforting spices. This makes a wonderful year-round dish; comforting in the winter (despite the fact that neither India nor most of Pakistan gets cold) but spicy enough to be okay to eat in the summer time. Like chili. Good in hot and cold weather, not unlike chili! Okay it’s a little bit unlike chili. The other thing about this dish is that it’s better the next day, after all the flavors and seasonings have had time to mingle, do a little dance and mellow out. Place the garlic, ginger and water in a blender or food processor and blend until smooth, scraping the sides if needed. Set aside. Preheat the oven to 250 with the racks in the lower part of the oven. Heat oil in heavy pan that's oven safe or dutch oven on medium high heat (about a 6). Brown the pieces of meat, working in batches if necessary. Set aside. If the bottom of the pan has badly burned during the searing process, deglaze with water and pour it out. Reduce the heat to medium, add the onions and carrots, and cook until the onions are translucent, scraping up any brown bits from the bottom of the pan. Add the spices and give the pot a quick stir, cooking until fragrant. Add the ginger garlic paste and cook another minute or two. 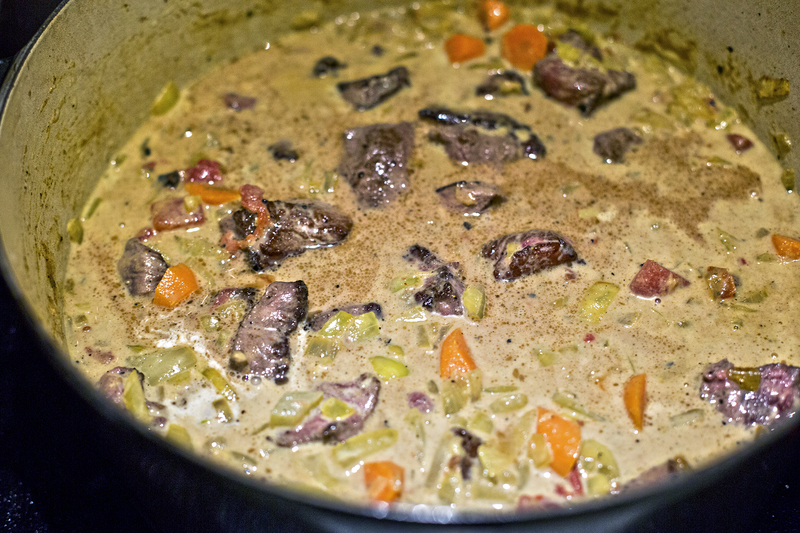 Add the tomatoes, coconut milk and meat pieces with any juices that have come out in the bottom of the bowl. Bring to a good boil then cover and place in the oven. Braise for 1 1/2 hours, until the meat is tender. Serve over rice. Non-game substitution: Stew meat of any kind will nicely substitute, even chicken instead of beef. Vegetarian substitution: Korma can be kind of one of those “everything but the kitchen sink” recipes. Substitute paneer, cashew pieces, chickpeas, or all of the above for a lovely vegetarian version.